Haiyan provides technical and pedagogical consulting, training, and project support, to help instructors find innovative and effective ways to achieve their teaching goals, for campus-based, in-classroom, blended and online courses. She served as the project manager to a number of the Duke Online Initiatives, and the Global Education projects of MOOCs and on-campus credit courses, advising on instructional design and pedagogy, helping manage projects, and coordinating efforts between the different members of the project support team. 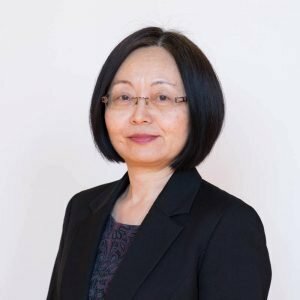 Recently she joined Duke Kunshan University (DKU) as Associate Director for Teaching and Learning at the Center for Teaching and Learning. Her main job responsibilities at DKU include leading the efforts to develop programming, resources, and support for enhancing teaching effectiveness and to promote teaching innovations of faculty, and to promote learning. Her professional interests include global education, sciences of learning and learning experience design. Why Does Writing Good Learning Objectives Matter? Innovative Teaching Award Now Accepting Applications! Teaching across Continents: Challenges and Solutions – Educause Learning Initiatives (ELI) Conference, February 13 -15, 2017, Houston, Texas. Theme: Transforming the Academy: Building Communities of Practice. Working with Global Partners: Developing MOOCs & Hybrid Courses At Duke University – Online Learning Consortium (OLC) International Conference, October 12- 16, 2015, Orlando, Florida. Blended Learning and MOOCs – A session at the EDUCAUSE Learning Initiative Annual Meeting, February 5, 2013, Denver, Colorado. Debate Club: What Are the Roles of the MOOC in Higher Education? – A session at the EDUCAUSE Learning Initiative Annual Meeting, February 5, 2013, Denver Colorado. Deploying iPads as Exploratory Learning Devices – A session at the ELI Annual Meeting, February 16, 2011, Washington, DC. A case study: “Online Core in Clinical Research at Duke University School of Medicine” at 24th Annual Conference on Distance Teaching & Learning, August 5-8, 2008, in Madison, Wisconsin. Online Core in Clinical Research (OCCR): Initial Design, Ongoing Development, and Improvement, at the E-Learn (Association for the Advancement of Computers in Education) – 11th International Annual Conference, Oct. 13-17, 2006, Honolulu, Hawaii. The “Grounded Design” Effect: The Impact of Grounded Instructional Design Principles and Beyond at 12th annual Sloan-C International conference on Asynchronous Learning Networks, Nov. 8-10, 2006, Orlando, FL. Developing Principles to Guide Web-Based Course Development – 11th annual Sloan-C International conference on Asynchronous Learning Networks, Nov. 17-19, 2005, Orlando, FL. Prior to joining Duke University, Haiyan worked at Morehead State University, KY- as an adjunct faculty member taught face-to-face and online courses; meanwhile as a Teaching and Learning Training Coordinator, provided training and supporting faculty in teaching effectiveness. Before that, she worked at several universities as a librarian. She holds M.Ed in Instructional Technology, Department of Curriculum and Instruction, College of Education, East Tennessee State University, USA, and MS in Library Information Science from School of Information Management, Nanjing University, China.